Description: Diethyl fluoromalonate (CAS 685-88-1), also known as diethyl 2-fluoromalonate, fluoromalonic acid diethyl ester, Ethyl fluoromalonate, is an organic intermediate widely used in chemical industry, particularly in pharmaceutical and agriculturalchemical industries. Diethyl fluoromalonate, CAS number 685-88-1, is an organic intermediate widely used in the fields of pharmaceuticals, agriculturalchemicals, materials, dyestuff,industrial additives, etc. It is also known as diethyl 2-fluoromalonate, 1,3-diethyl 2-fluoropropanedioate, 2-fluoro-malonic acid diethyl ester, fluoromalonic acid diethyl ester, Ethyl fluoromalonate, etc. The already known key applications of Diethyl fluoromalonate include: usedas pharmaceutical intermediate, in synthesizing fungicides, special materials, dyestuff, enzyme inhibitors, fluoride-containing amino acids, fluoride-containing Chalcone, sedative, etc. Theresearch and industrialization of diethyl fluoromalonate is still at the beginning stage, and more applications will be explored in the future. Diethyl fluoromalonate has been shown to be a valuable intermediate in the synthesis of alpha-fluoroalkanoic acids, including y-fluoroglutamic acid. It is also an intermediate for 5-Fluoropyrimidine (CAS 675-21-8) compounds, which shows good bioactivities for anti-cancer, antibacterial effects. Diethyl fluoromalonate is an important intermediate for the synthesis of environment-friendly fungicide Fluoxastrobin developed by Bayer CropScience in 2005. Fluoxastrobin, commonly used in Fandango, Fortix, Scenic, DISARM, EVITO, and HEC 480 SC (trade names), is a new strobilurin fungicide active ingredient for the control of fungal diseases such as early blight, late blight, leaf spots, leaf rust, and Rhizoctonia solani. New functional fluorinated materials are rapidly emerging to meet the demanding requirements of advanced applications in fields as diverse as sensing, catalysis and environmental protection due to its excellent prosperities such as chemical resistance, heat endurance, dielectricity, noninflammability, non-stick performance and wear-resistance. AS per Journal of Materials Chemistry, fluororesin, fluoroelastomers, and fluorosilicone (FRS) are very popular fluoride-containing materials widely used in the fields of photoelectrons, fiber optic, etc. Diethyl fluoromalonate can be used as the starting material for many of these specialty materials. More information is to be updated for the mechanism of action of diethyl fluoromalonate for the preparation of 4,5,6-Trifluoropyrimidine (CAS 17573-78-3). 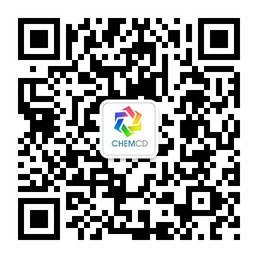 4,5,6-Trifluoropyrimidine is an important pesticide intermediate and it is also applied as an intermediate dye industry. According to Wikipedia, fluoride salts are commonly used in biological assay processing to inhibit the activity of phosphatases, such as serine/threoninephosphatases.Fluoride mimics the nucleophilic hydroxide ion in these enzymes' active sites.Beryllium fluoride and aluminium fluoride are also used as phosphatase inhibitors, since these compounds are structural mimics of the phosphate group and can act as analogues of the transition state of the reaction.Diethyl fluoromalonate can be used to various synthesize enzyme inhibitors. Diethyl fluoromalonate can also be used to prepare fluoride-containing amino acids, fluoride-containing Chalcone, fluorotetrahydroquinolines,and sedative areas. Our novel manufacturing process is much more environmental friendly than the traditional process. The traditional process emits HF which is extremely toxic and corrosive and a mixture of methylbenzene and triethylamine which are also toxic and difficult to contain.In contrast, our processdoes not involve any of these materials. Thus, our wastes can be easily treated and reach the emission standard. Ourdiethyl fluoromalonate can reach as high as 99% purity (by GC), and is the highest assay that is commercially available.The common purity of diethyl fluoromalonate on the market is about 90% and it is difficult to furtherpurify. As diethyl fluoromalonate is one of Banff’s most important products, a large stock is available all year round. If you need quotation or price for diethyl fluoromalonate, please kindly send inquiry to us. Information as MSDS, COA, GC and NMR spectrum are all available upon your request.